Begin by drawing two scallop sea shells on the back of the felt about the size of your hand. Cut them out and used a glue gun to wrap the pipe cleaner along the outside edges. Place the metallic felt shells onto regular pieces of felt and glue them along the outside edges again, in order to have a softer fabric to attach to the tank. Glue gold felt onto the sea shells and then pin the final shells on to the shirt. I used a glue gun to glue the edges to the tank. 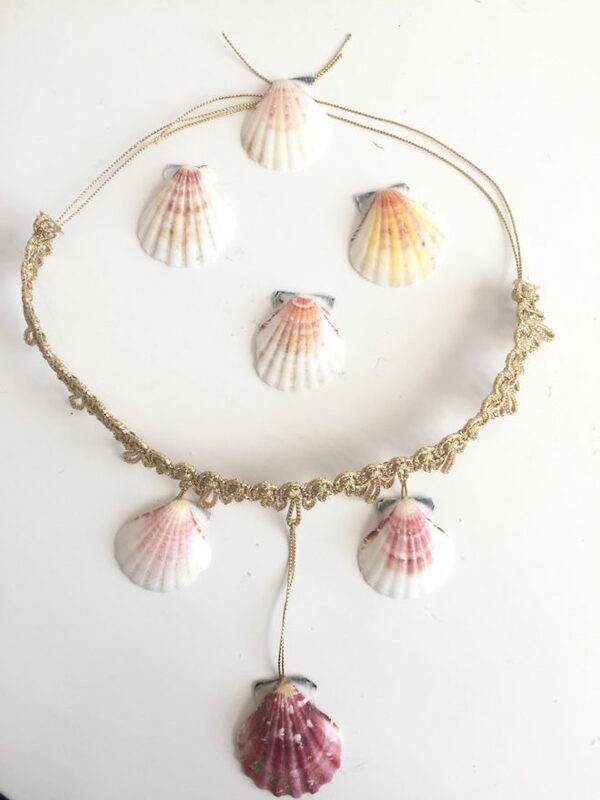 For the necklace, use thin gold cord and gold string to attach sea shells with a glue gun to hang from the necklace. 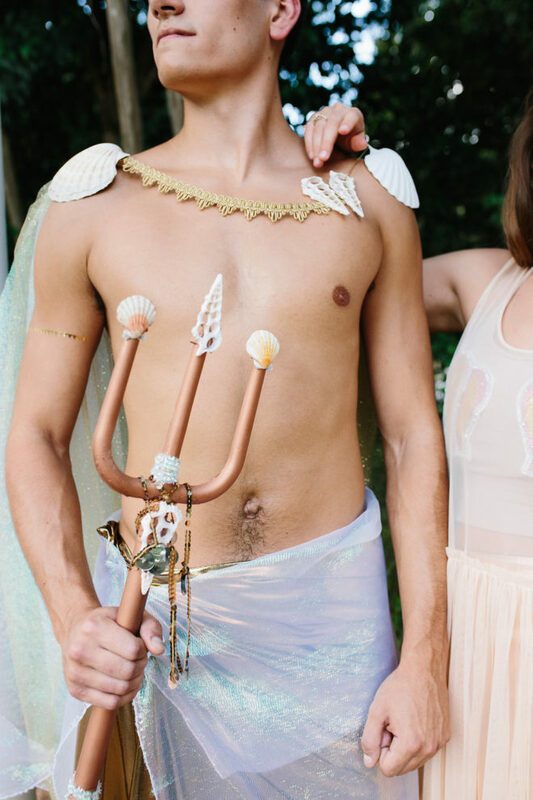 For the merman cape, tie the gold tulle and half of the iridescent fabric in 2 knots on the end. Then use the ribbon to tie around one of the knots. Tie the gold string used on the necklace onto the other knot. 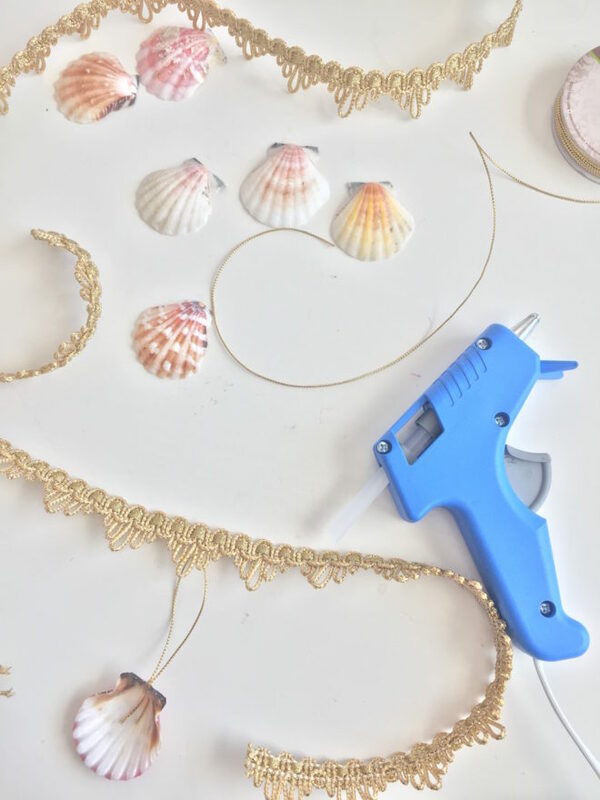 Using a glue gun, attach shells to the knots and the end of the ribbon. Use the gold string to connect the shells to the other knot to hold up the cape. 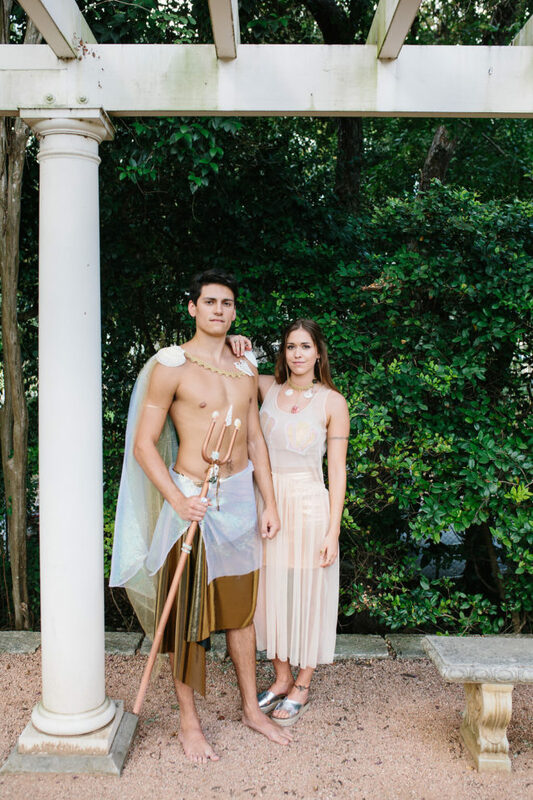 For the bottom half, fold the gold fabric and the rest of the iridescent fabric in half and drape it on your costume partner, using a safety pin to connect it. 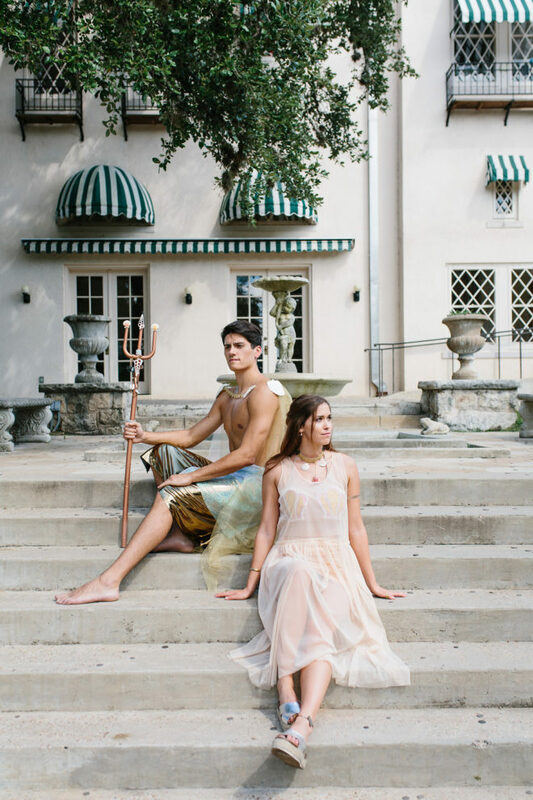 Spray paint your trident to the color of your choice. Using a glue gun, attach the shells to the fork. You can drape fork in sequin string from anklet as well. These costumes look awesome. I am still trying to figure out what I wanna be for Halloweeen, but I know is it’ll be a DIY.